KEN SHELLITO never had the best of luck. As a player, he was cut down in his prime, turning out for his last competitive game in December 1965 at the age of 25. As a manager, he had the misfortune to take over from his former team-mate, Eddie McCreadie, who had become a folk hero as he took Chelsea to promotion in 1977. Ken Shellito died on October 31 2018. He had been missing from the UK football scene for some time, working and settling in Asia. In some ways, he had become something of a forgotten man. Shellito was seen as a quiet, respectable individual, but he never had the chutzpah of his predecessor when he became manager of Chelsea in 1977. While McCreadie was bold in his predictions and his appearance, Shellito was more reserved, less prone to making statements. His appointment was arguably the only thing cash-strapped Chelsea could have done when McCreadie resigned over a contractual dispute. The club knew Shellito and the former full back knew Chelsea only too well. 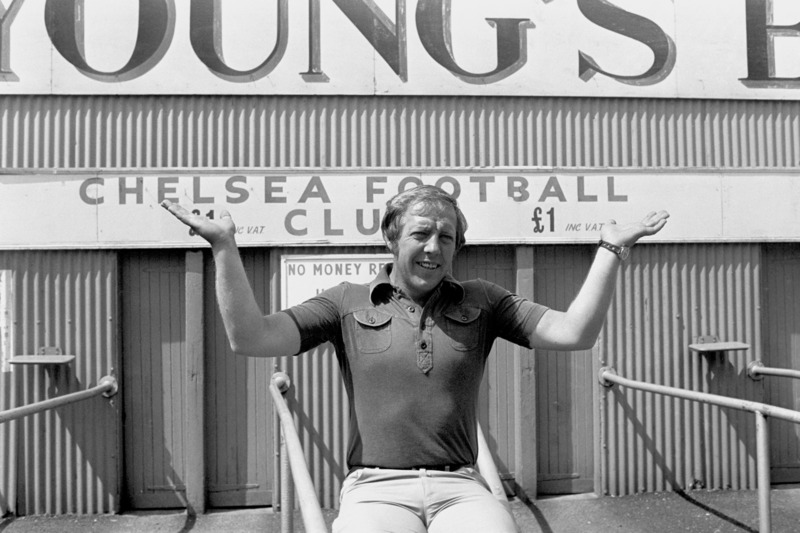 Newly-appointed Chelsea manager Ken Shellito at Stamford Bridge. Photo PA. Many of McCreadie’s promotion side had come through Chelsea’s youth system and Shellito had worked with most of them, so there was a certain logic in putting him in the hot seat. But in many ways, it was too tough a challenge for a man who had been in the backroom since retiring from the game as a player. He was on a hiding to nothing, just like another Chelsea favourite John Hollins in the 1980s. Shellito could only tarnish his image with the club’s fans while McCreadie departed with his legend intact. Shellito was an outstanding defender, one of the first overlapping full-backs in the modern game. He was capped once by England in May 1963, playing alongside Gordon Banks, Bobby Moore and Bobby Charlton in a 4-2 win against Czechoslavakia in Bratislava. He might have been a member of Alf Ramsey’s 1966 squad if he had remained fit, but his career effectively ended some six months before the World Cup, although he went through agony for some years trying to salvage his playing days. Chelsea’s dilemma was that they needed to put faith in youngsters, but they also didn’t have the time to let them develop naturally. In the top division, they were frequently found wanting and this made life very difficult for Shellito. His task was simple – to keep Chelsea up as his young players matured. There were high spots, however, notably the 1-0 win at Manchester United in September 1977 and the now legendary 4-2 FA Cup win against European champions Liverpool in January 1978. Chelsea stayed up, virtually securing their place with a 2-0 win at doomed Leicester City and Shellito was delighted. “Survival is the only thing that matters, no matter how bad this game was,” he said afterwards. “The tension was almost unbearable.” Incredibly, survival was confirmed a couple of days later, after a 6-0 drubbing at Everton. Shellito pointed out that Chelsea would need to spend to ensure they didn’t go close to relegation in 1978-79. “I know the men we want,” he said. But despite spending for the first time in four years, Chelsea could not compete the following season and Shellito, by now losing confidence and faith, was coming to the end of his time as manager. With just two wins in 18 league games, the Blues were rooted to the bottom of the table. After a 1-0 home defeat at the hands of Aston Villa, Chelsea chairman Brian Mears, who had been courting a number of people with a view to bringing in help for Shellito, decided to relieve him of his duties. Nothing much changed in terms of Chelsea’s fate as relegation was confirmed well before the end of that dreadful season. Although he had a brief spell with Cambridge United, Shellito spent the last years of his life in Asia, where he passed away after a brief illness, aged 78. Undoubtedly, he will be remembered as a great clubman and as a decent man who took on what was an uneviable task in a troubled period for Chelsea. And but for that injured knee, who knows what he would have achieved on the field?